Well, I call it my woodland but it isn’t actually mine! I’m lucky enough to have about 40 acres of wild mixed woodland next to my house. Very few people visit it and it’s full of roe deer, badgers, foxes, buzzards and there’s even a goshawk. 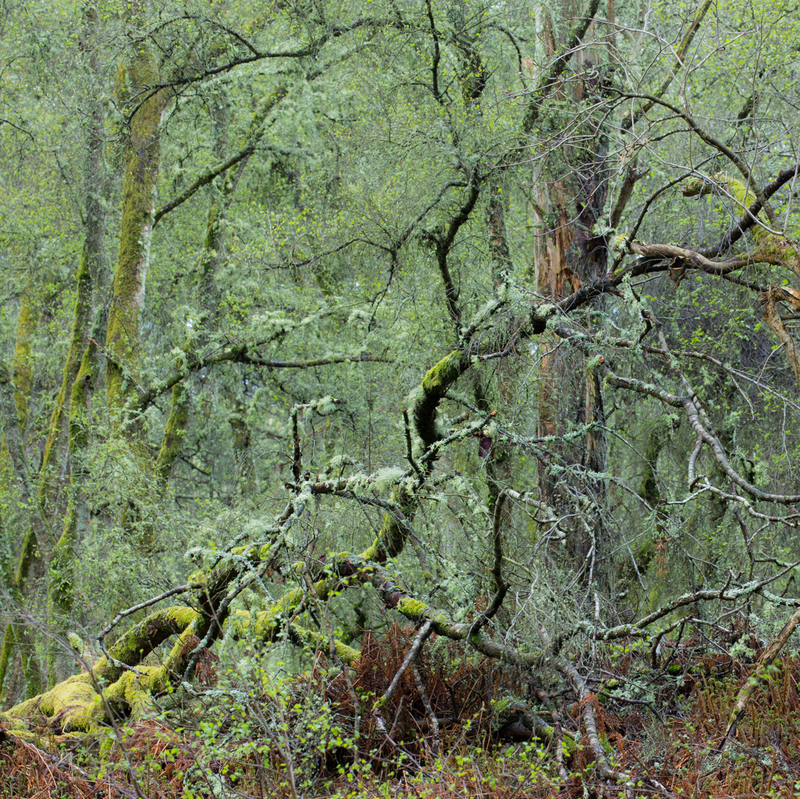 Large areas of it are very boggy and it’s a mass of tangled branches and fallen trees. This photo on the right was the photo sketch for the final photo above. They were taken 2 hours apart on a wet April afternoon.